When you're working in the performing arts, the more professional your approach and materials, the more secure you'll be in fulfilling your role for the production. It doesn't matter if you're a student, an enthusiastic amateur, or a professional -- the right materials will simply make it that much easier for you to do your best. This is especially the case with stage makeup. While I've known more than a few amateurs throughout the last 15 years who were able to make regular makeup suffice, I was always struck by how hard they had to work to get the regular stuff to do what stage makeup was created to do. Stage makeup may be more expensive than your over-the-counter items, but its elements are also created to stand up to the sweat and strain of performance, to show up properly under the lights, and to blend and accentuate your features as needed for your particular roles. 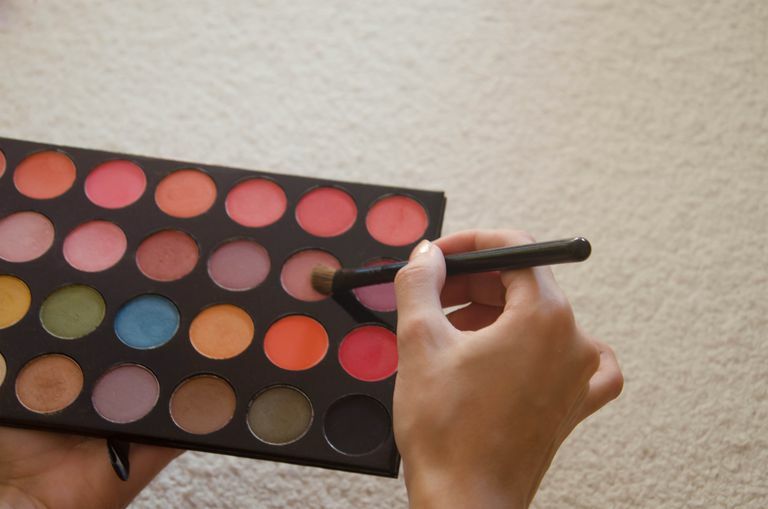 Getting stage makeup doesn't have to be a hassle since there are several major manufacturers whose names are well-known and trusted within the industry, and who offer easy access to purchases online for whatever you need. Following, therefore, is an overview of some stage makeup leaders and how to use their products, contact or follow them, and (most importantly) where to buy their products! Mehron is a well-known stage makeup leader, and its comprehensive website includes makeup products for everything from Special FX to Performance/Theatrical, to Halloween, Clowning, Face & Body Painting, and Beauty. The site also offers accessories, seasonal makeup kits, educational kits, and "trade secrets," plus resources including online Mehron Studio Classes, Videos, a helpful Image Gallery, and helpful documents like Product Guides and Color Charts. Those seeking to purchase Ben Nye Makeup won't be able to do so from its website, so their best bet is to visit International Fun-Shop (Stagemakeuponline.com), like Ben Nye Makeup's top distributor in the U.S., with kits, effects supplies, and hundreds of specific Ben Nye products available for review and purchase directly. Meanwhile, the official Ben Nye Makeup site offers a look at the distinguished company with a wealth of downloadable documents and catalogs, from its Professional Artist Catalog and Professional Beauty Books for 2013, to assorted Media Pro catalogs for fashion, film, and print -- and more. The site also includes an actual factory tour on video, as well as a video interview with company president (and USITT Distinguished Achievement Award-winner in March 2012) Dana Nye from 2010, both of which are pretty fascinating, but links to Theatre Arts, Opera & Theatre, & Education resources and Grand Entertainment don't always seem to be clickable for further info. The Kryolan site caters to users in a variety of languages from across the world, and offers easy access to detailed information on everything from product arrays and items including Kryolan Range, Dermacolor, High Definition, Private Care, Aquacolor, and Supracolor, to special effects tools and supplies, makeup removal products, airbrushes and accessories, books, DVDs, Cantoni chairs and station items, and more. The site also offers information on events, seminars, workshops, and exhibitions, as well as its latest catalogs, all downloadable in PDF. The Special Effects Supply (FXSupply.com) site is, meanwhile, one of several good options for actually purchasing Kryolan products, offering makeup products, sprays, creams, powders, as well as tools, brushes and airbrushes, accessories, cleaners and removers, prosthetics, contours, tapes, blood, appliances and special effects (wax, casting, stone, moulage, clay, vomit), facial hair and lashes, body makeup, brushes, kits, makeup cases, and more. Graftobian's products include HD or Hi-Def Makeup, Professional Cosmetics, Fantasy, Airbrush, Halloween, Moulage, and Theatrical Makeup, as well as Special Effects items, Skin Care, samplers, palettes, tools, brushes, and sponges, a DVD on HD Makeup 101, and more. Graftobian Makeup Company is a family-run, United States manufacturing business based in Madison, WI and in Brooklyn, NY. The company's website allows users to buy directly from Graftobian, and also includes quick links to more information on dealers, catalogs, press, and more. FACE atelier believes in "sophisticated, versatile makeup that simply works, and works simply." The company's products have been seen on everything from "True Blood," "Community," CNN, and "Rules of Engagement," to performers like Fergie and Lady Gaga. The company's elegant website includes immediate access to purchase of the FACE atelier product line of both beauty and Pro-level product lines, for face, eyes, lips, and more, as well as a range of high-quality tools and brushes. 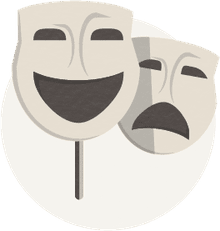 The site is great for the casual browser, although I wish it didn't blur the lines quite so much on professional-grade TV or theatrical products - newcomers or amateurs may have a hard time picking what will actually work best for their specific performance scenario. The site also allows for the immediate purchase of helpful mattes, removers, finishing sprays, gels, putties, and lip enhancers. It's nice to note that FACE atelier doesn't add scents or flavors to its products, and it is also officially approved by PETA for its cruelty-free status for its choice not to test on animals (nor does it buy ingredients from vendors or manufacturers who do so). The site's "Trade Secrets" section also includes links to local distributors in the U.S., Canada, and internationally, as well as links to pro artists who use FACE atelier in their work. The site also offers some extremely helpful and detailed how-to's on general (mostly beauty-related) makeup application. Professional makeup artists are eligible to apply for membership in FACE atelier's Preferred Pro Program (PPP). Students studying to become makeup artists at accredited schools are also invited to apply for membership in FACE atelier's Student Program. For further information, please contact proartist[at]faceatelier.com. Special Effects Supply offers a huge assortment of makeup products, tools, and kits for those seeking professional stage makeup. The website includes a superb array of Kryolan products, as well as offerings from most other major stage makeup manufacturers, including Ben Nye. The site also offers a great selection of effects items, from latex, silicone, plaster, wax, stone and alginate kits and items, to moulage and fake blood items galore. There's even a helpful assortment of instructional videos, information on how to accomplish specific makeup and effects tasks, and a glossary of materials and terminology. There's also a great gallery of work by notable clients and experts. This impressive stage makeup supplier offers a massive array of products from leading stage makeup providers. International Fun-Shop is a leading resource for Ben Nye products in particular, but also offers such well-known brands for performers as Graftobian, Magicake, and latex prosthetic wounds by Woochie as well as Ben Nye. The site is beautifully organized, with easy immediate access to everything from makeup adhesives and cleaners, to moulage, blood and latex, effects wheels, paints, powders, and colors, special effects supplies, wigs, hats, costumes, hats and crowns, tools, kits, and cases.